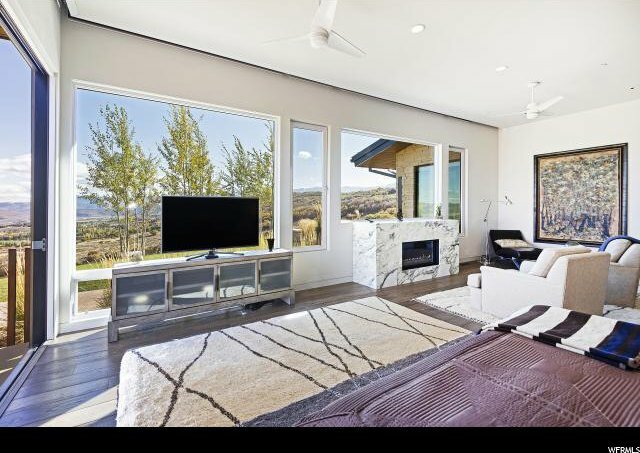 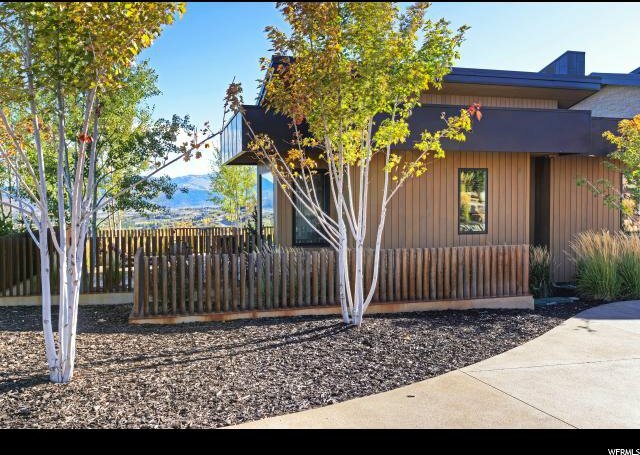 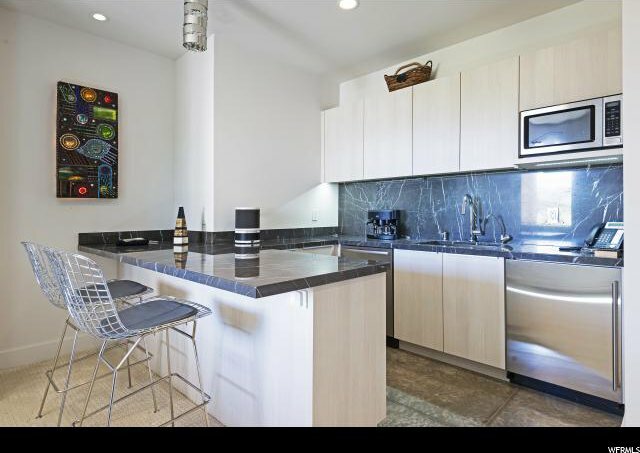 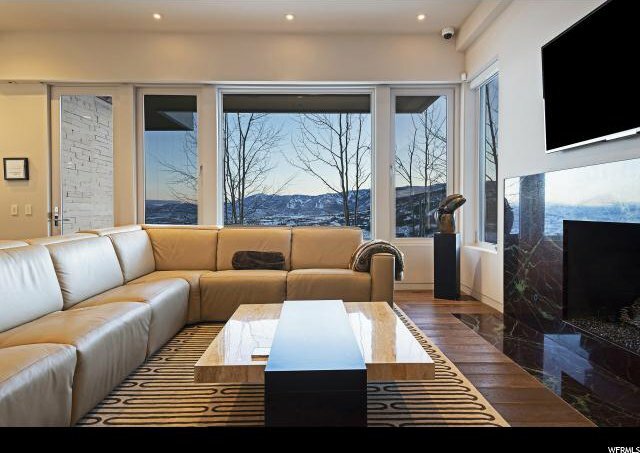 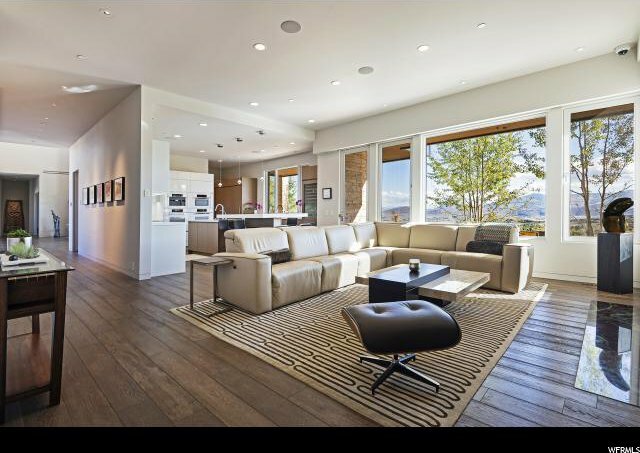 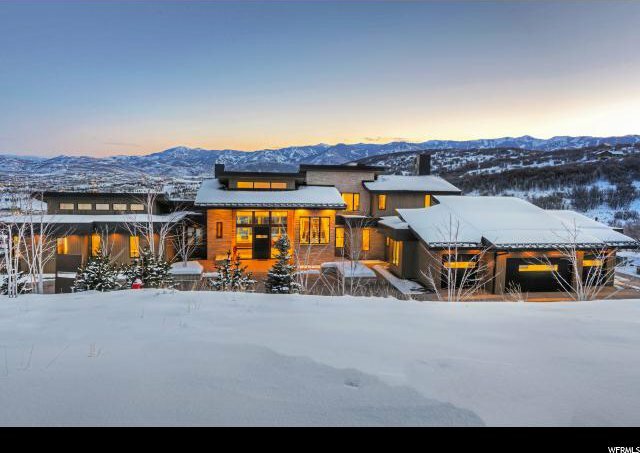 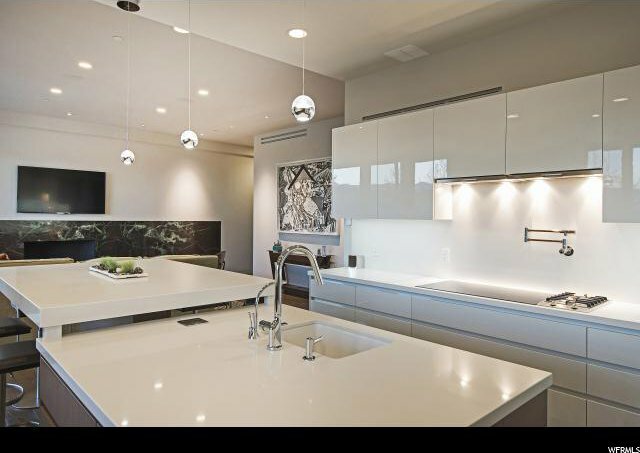 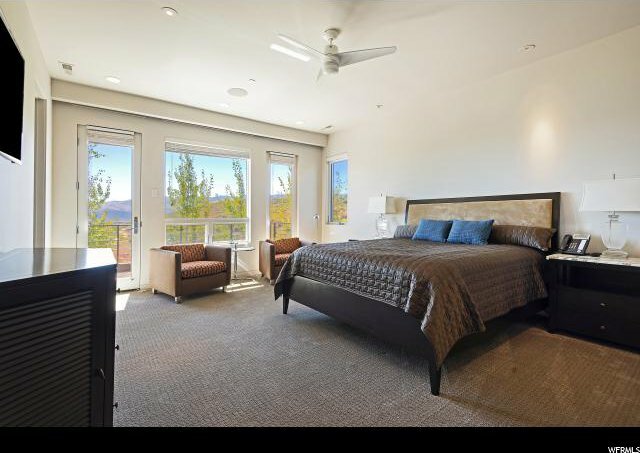 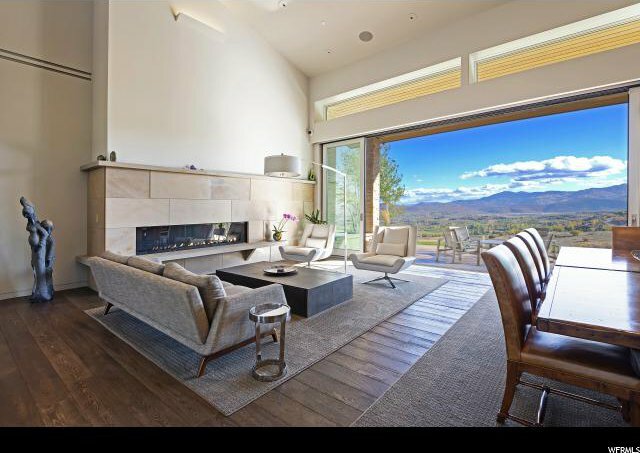 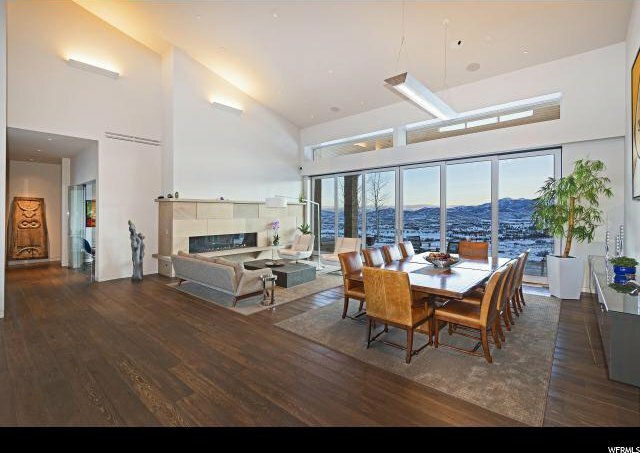 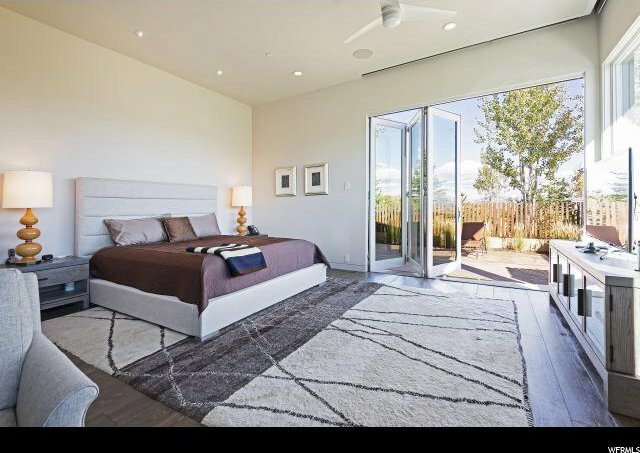 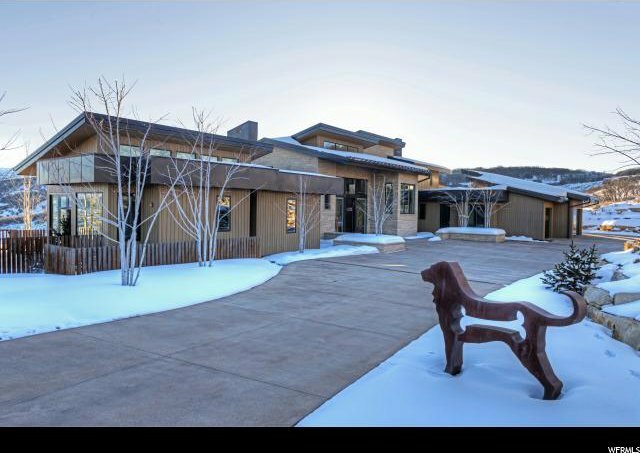 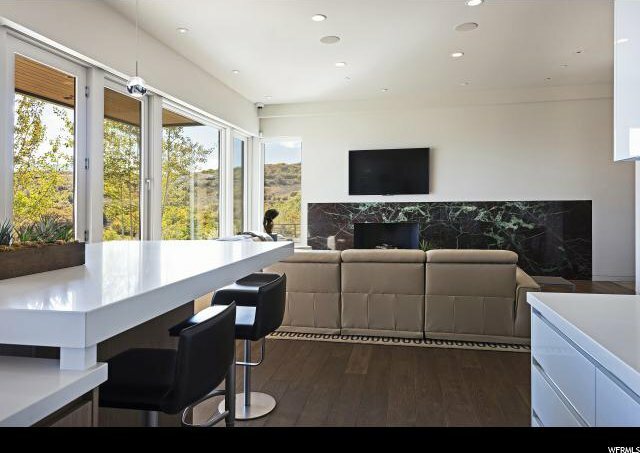 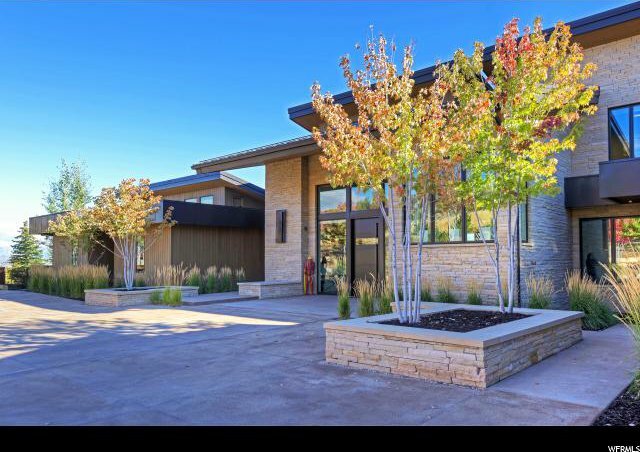 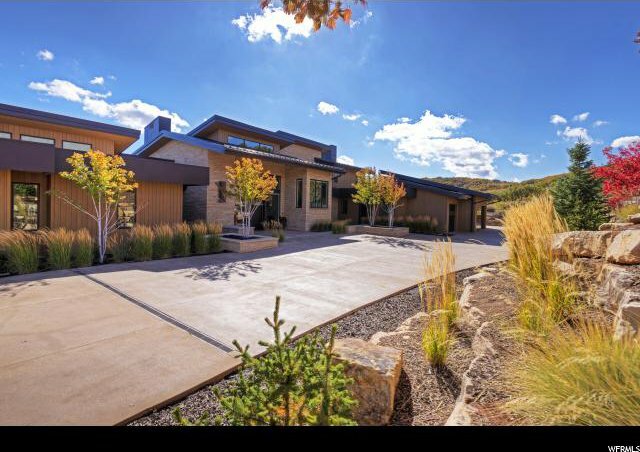 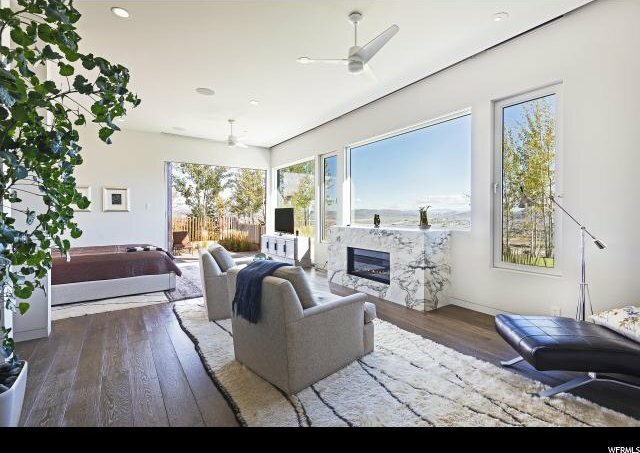 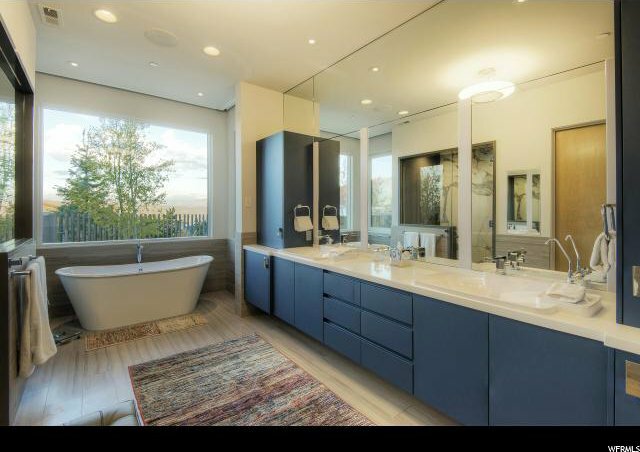 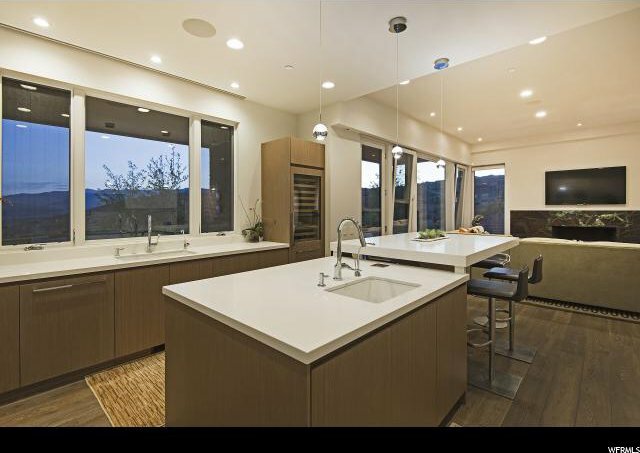 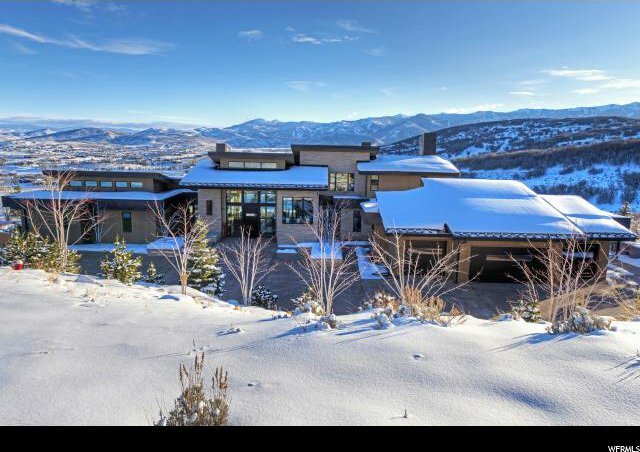 This contemporary and immaculate masterpiece rests on a south-facing hillside facing a magnificent mountain and valley view. 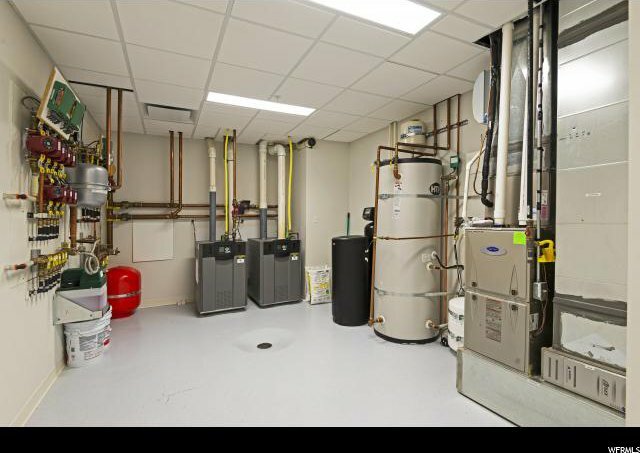 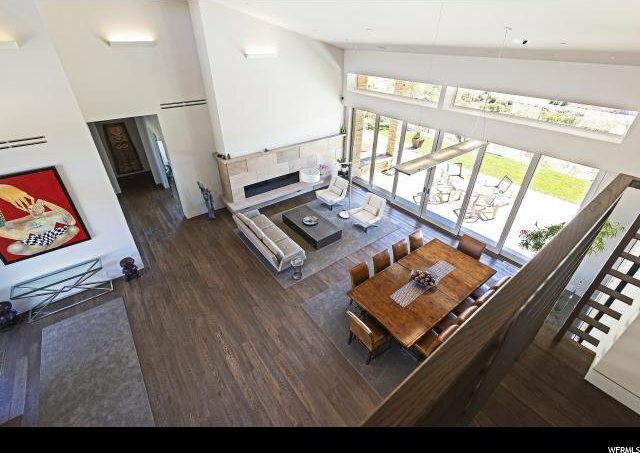 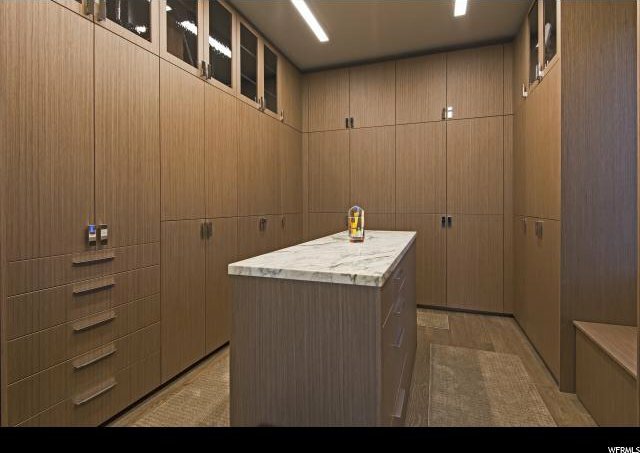 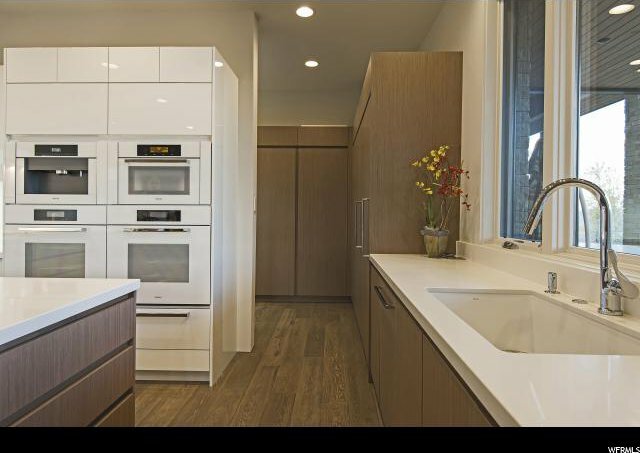 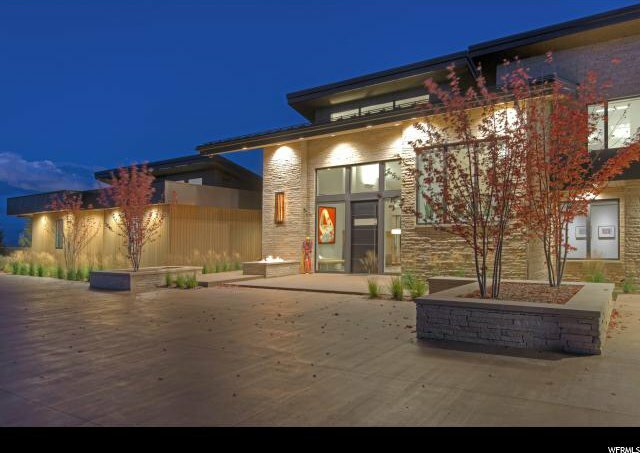 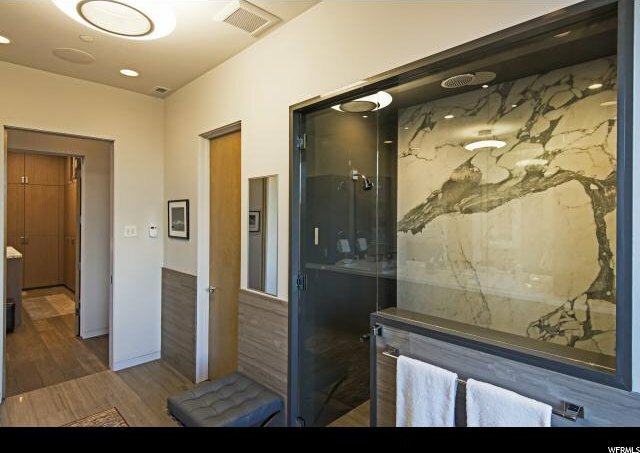 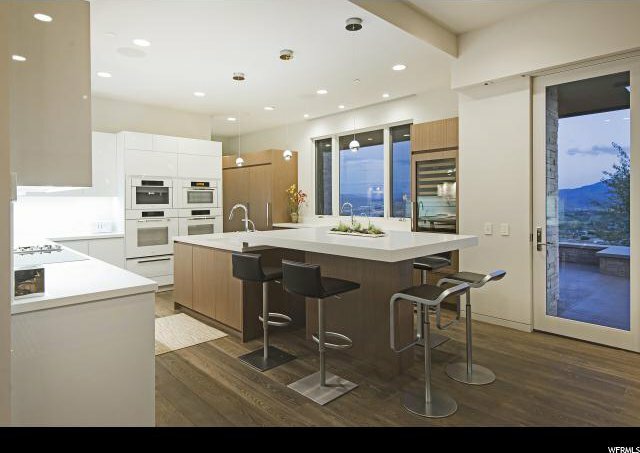 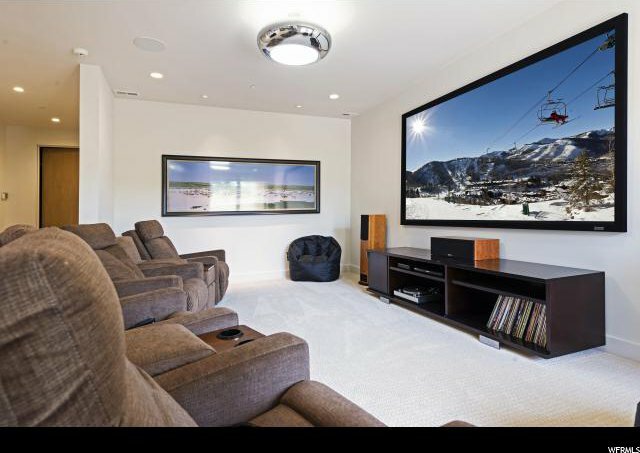 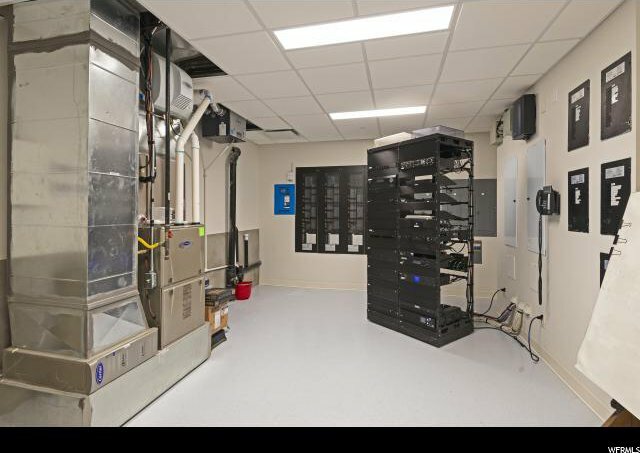 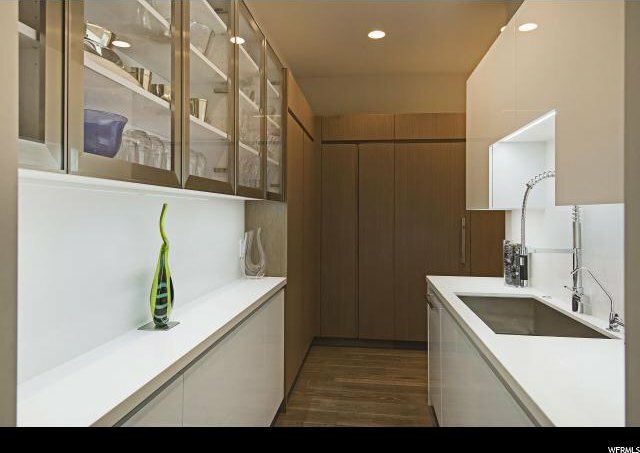 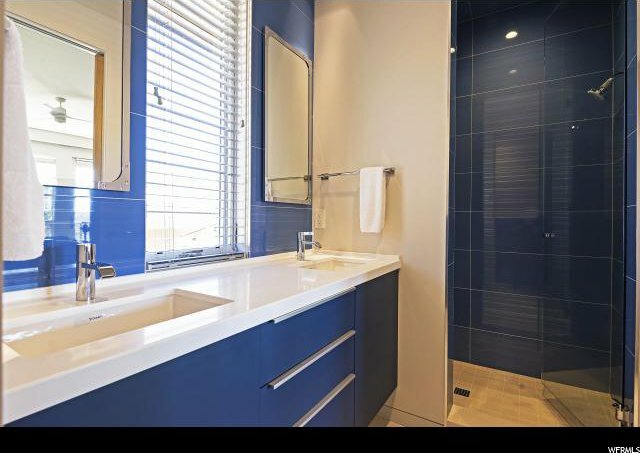 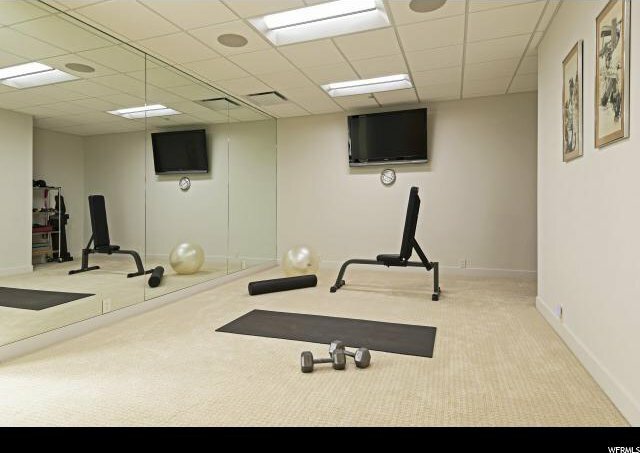 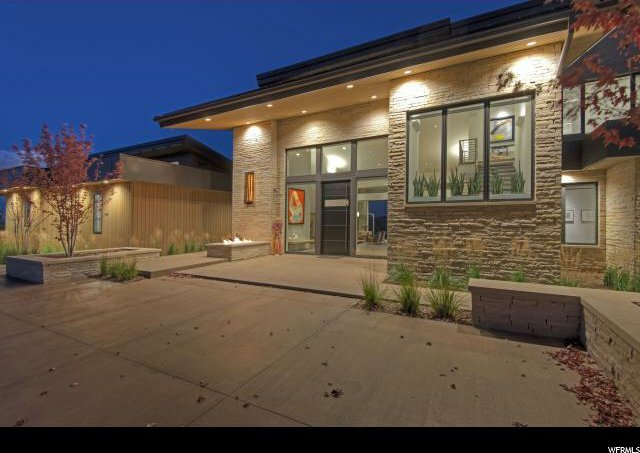 The home is meticulously maintained and thoughtfully planned, employing the most technologically advanced window and door shade systems and modern lighting, including a Lutron Homeworks System, Merlin Projector lights and much more. 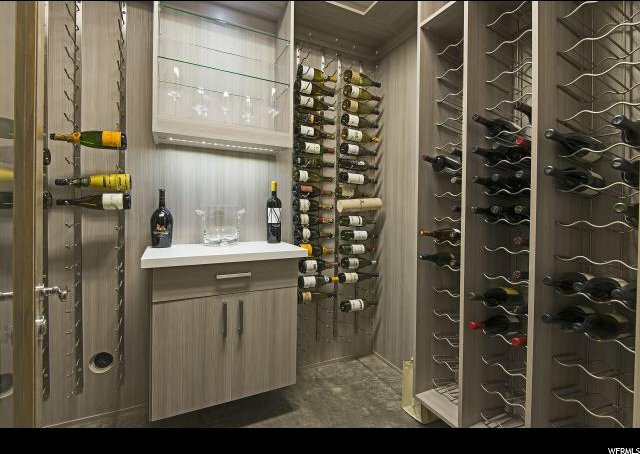 The home lives like a dream, with all the bells and whistles replete with a full audio-visual system including a 4k theatre projector, 168 bottle wine cellar, cedar lined closets, main level master bedroom, decorative Italian door hardware, custom linear fireplace, Oak floors with a Walnut oiled finish, Butlers pantry, custom tile throughout which is mostly porcelain and more. 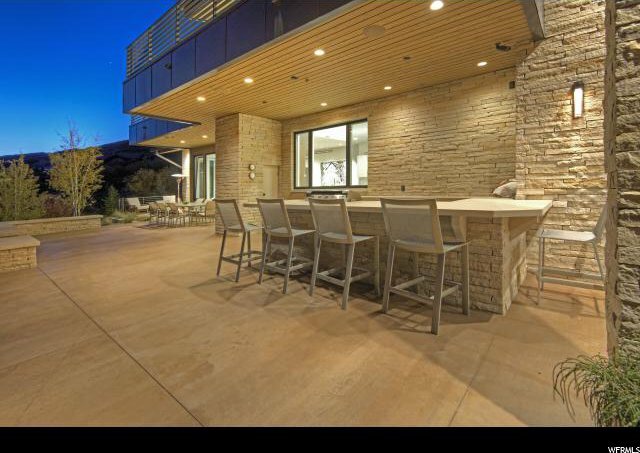 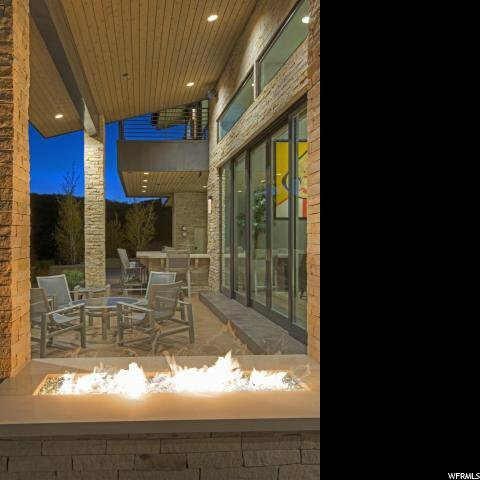 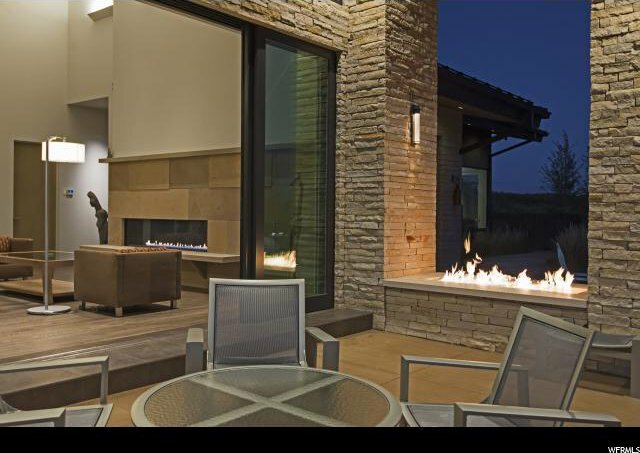 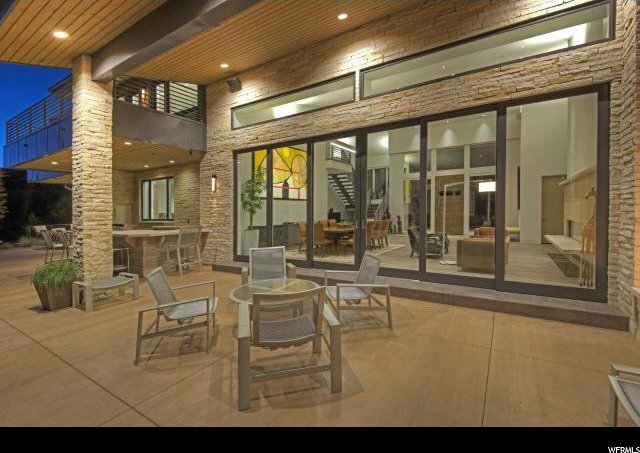 Outside, relax on radiant patios with fire pits, and enjoy an outdoor kitchen and in-ground spa. 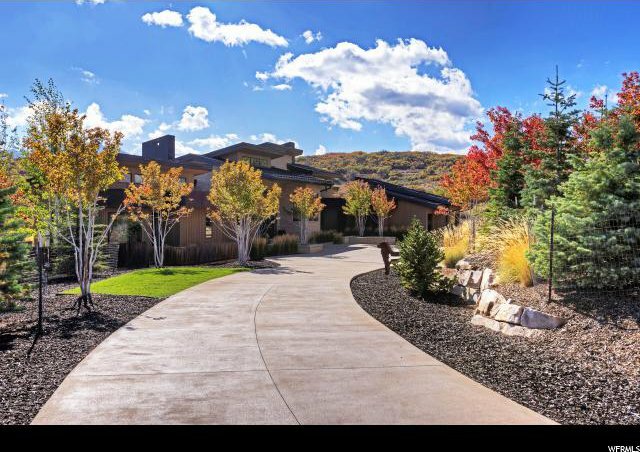 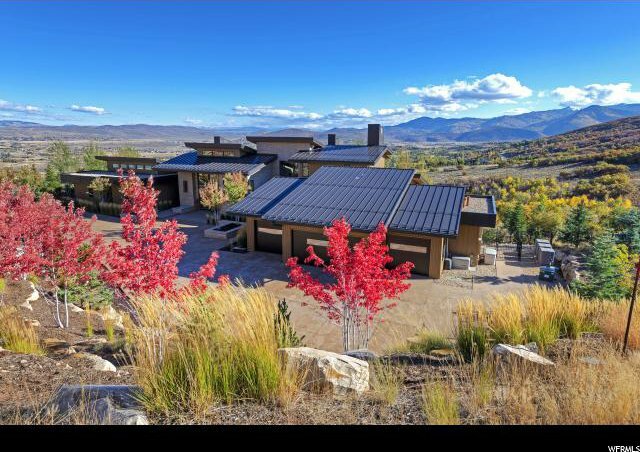 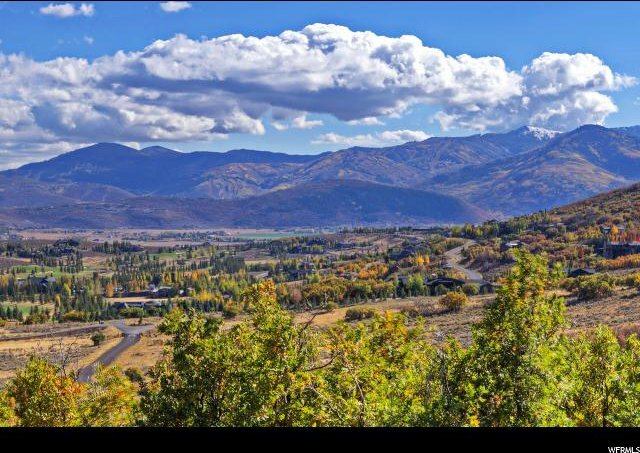 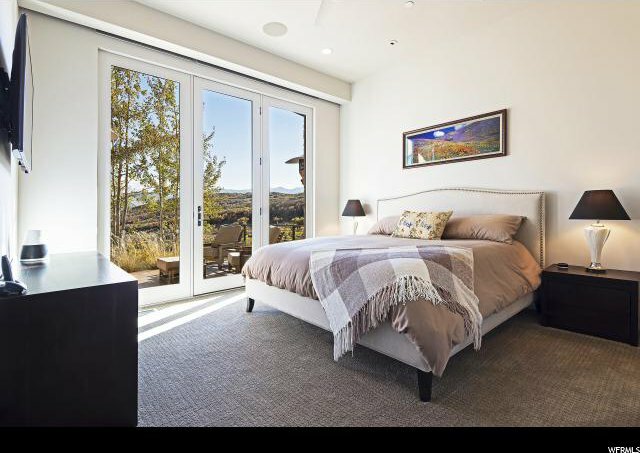 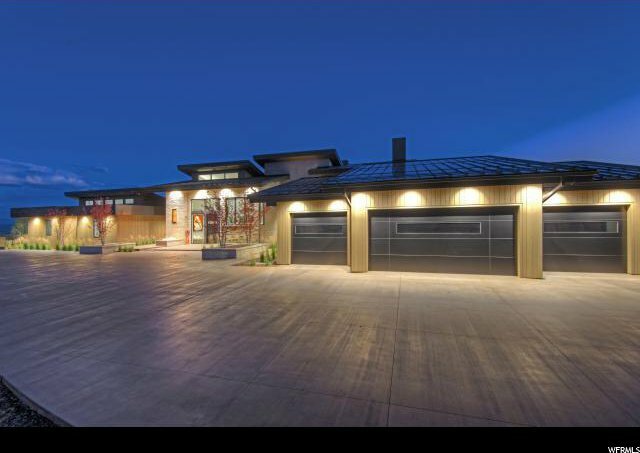 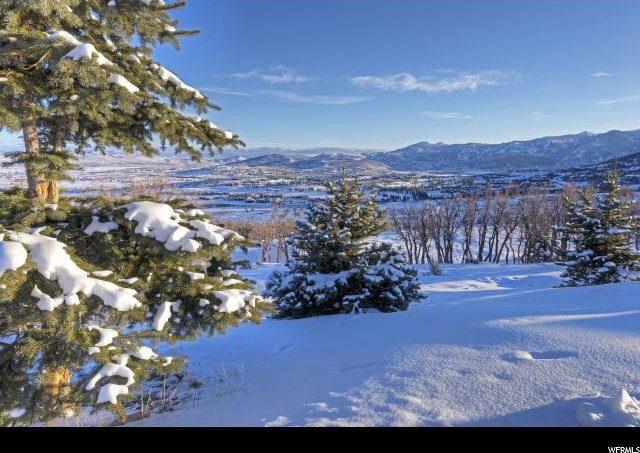 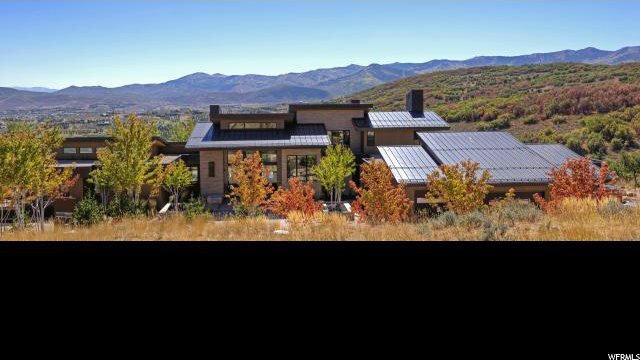 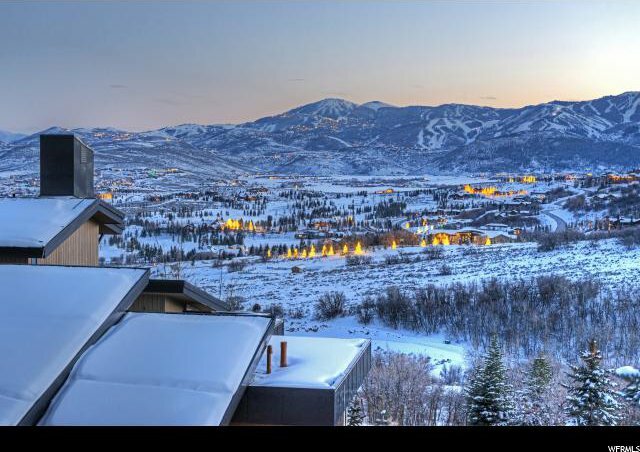 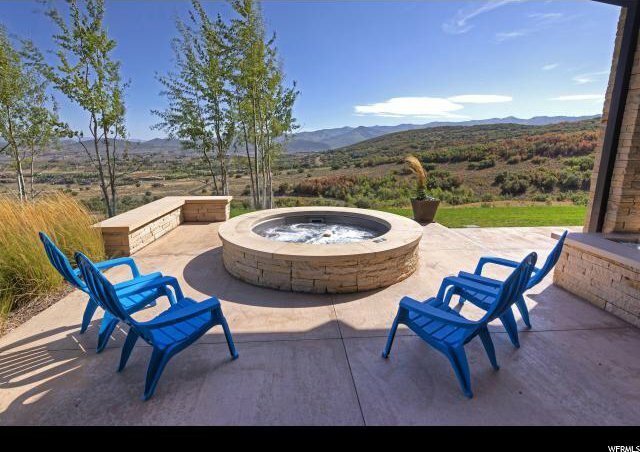 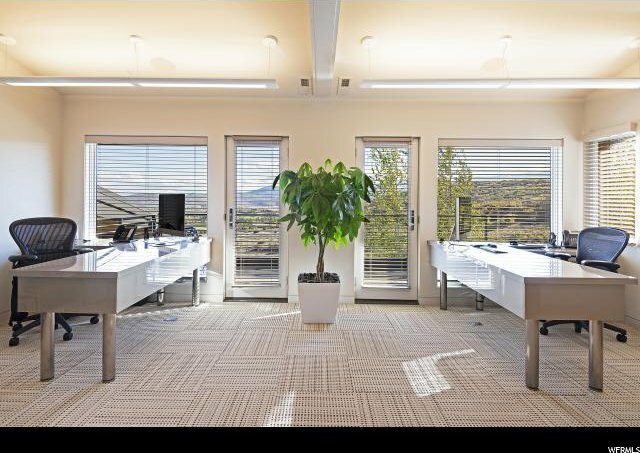 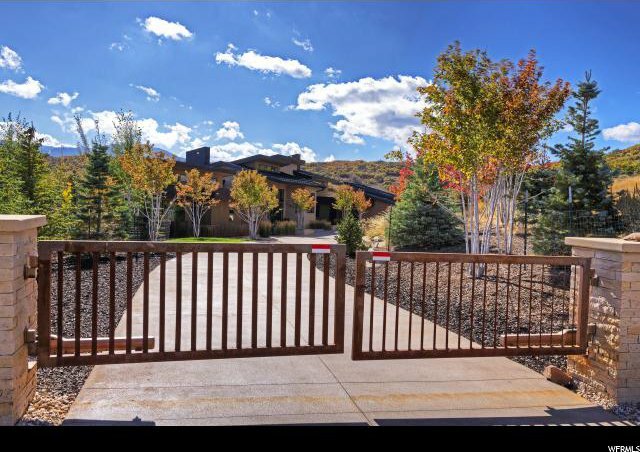 On 15 acres, enjoy seclusion, privacy and wildlife yet live a short distance to Utah's #1 golf course, Glenwild, or shopping, dining, entertainment and more.